Do you Periscope? Today we’re sharing 5 tips for using Periscope. Periscope app lets you share the things you love and stream video to the world LIVE via mobile phone. In a world where there is a new app launching almost every day it can sometimes be hard to determine whether you should install the app or not. However, we definitely recommend it. 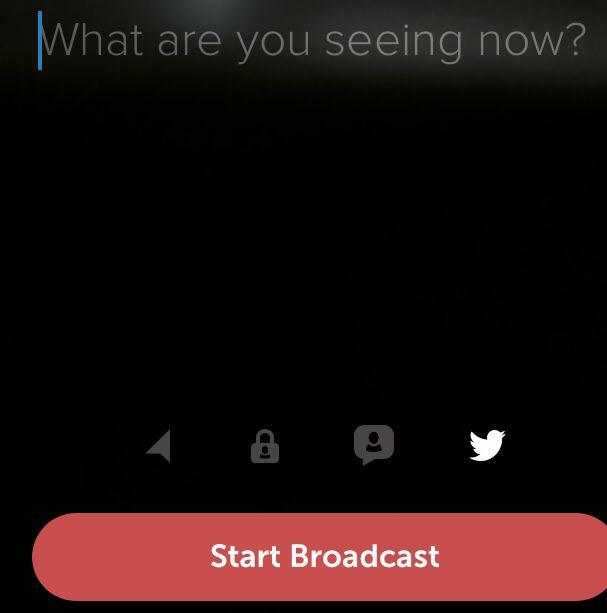 The coolest feature about the LIVE streaming with Periscope is that it lets you broadcast the content via YOUR eyes, share it immediately and replay it immediately. You can also use it share exclusive events with your friends, readers and new followers. You can also use it to connect globally. It is a great tool for influencers, PR professionals and entrepreneurs. When the app initially launched you could share the exact location from the global map and pinpoint where live video was being streamed. For security reasons, Periscope disabled the feature recently and doesn’t allow users to zero in on the exact location. According to Periscope it is the closest thing since teleportation. 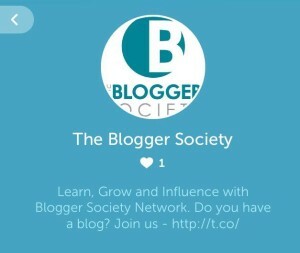 Why not launch YOUR blogs Live TV channel with Periscope? We just did! 1. How Do I install it? 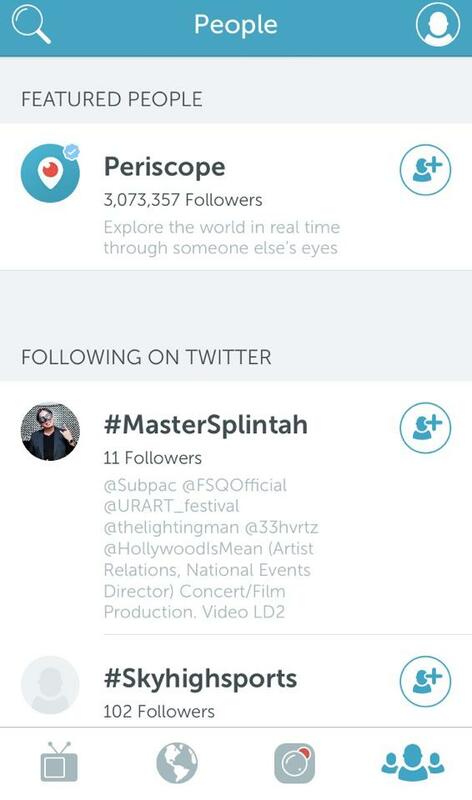 To install app download Periscope at the Apple Store for your iPhone or Google Play for Android Phones. You need a mobile phone and the app which you can download and installed easily. You connect to Periscope using your Twitter account. I recommend you keep the same name as your Twitter account. If you have multiple Twitter accounts consider connecting all the accounts at the same time. You can log in to your various accounts by logging off and logging on using your preferred account. 2. How Do I Stream Live Broadcasts? Can I Make It Private? At the bottom of your screen you have several icons. The Live broadcast icon looks like a small square and lets you broadcast stream live. If you want to broadcast privately to specific people, press the lock icon before going live and choose who you want to invite to your broadcast. 3. How Do I Notify My Followers and Get New Followers? To get more followers attend broadcasts, share live broadcasts with your Twitter following and create content that is exclusive and visually appealing. Visually appealing content get more hearts. The more hearts you get, the higher they flutter on the screen and the higher you are listed on the “Most Loved” list. When you go live the application will instantly notify your Periscope followers who can join your broadcast, comment and send you hearts in real time during your broadcast. You can also choose to share your Periscope broadcasts on Twitter by tapping the bird icon before you start broadcasting. When you go live, you’ll tweet a link so that your Twitter followers can watch on the web. Continue to grow your following by attending Periscope broadcasts, giving hearts and sending a flutter of hearts when you really like the content. After the broadcast followup with attendees you want to connect and grow your following. Let the broadcaster know you like what you are seeing by tapping the screen and sending hearts. To increase your following click on the people icon periodically and follow the users you want to connect with. 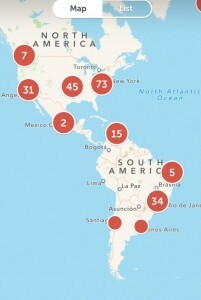 The list is populated based on the users you follow on Twitter. 4. How Do I Connect To Other Live Events? When you tap on the “Global” section you can view the broadcasts that are currently running. The Global section is a little globe at the bottom of the screen. You can also list the broadcasts as a map or a list for a description of the event and host. 5. Can I Save My Video To Make It Available To Other Viewers? After the broadcast is over you can make your video available to viewers for up to 24 hours using the REPLAY feature or delete it any time you want. Replays are instantly available. Don’t forget to let your friends and family know so they can spread the word. Question: Are you on Periscope? Let us know and we’ll follow you!